The best debt consolidation personal loans. For you. Compare and understand personal loans to help fulfil your goals. View competitive interest rates and financing tenures. Let us know about yourself and why you need a personal loan. Search loans and compare your results according to bank and loan interest rate. Provide your personal details to confirm your loan eligibility. "Got my credit card approved and managed to get my free give as promised within the time frame. Good job and great website to compare something when you got difficulty to choose from." "Received my Bose speakers not long after my credit card application was approved. A great experience overall!" "Fast, easy to understand forms and processes, friendly customer service." "Lots of useful info to compare bank products, and wonderful tie ups with banks to offer fantastic welcome premium gifts! And pleasantly surprised in getting my Bose gift so soon too! Excellent and very happy!" 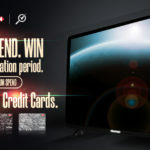 "Is a very easy and convenient site for applying credit card of your choice! On top of that you get awesome gift too." 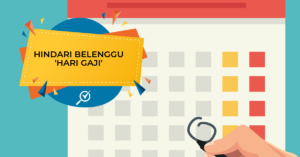 What is a debt consolidation personal loan in Malaysia? How does a debt consolidation personal loan work in Malaysia? Debt consolidation can be a good choice if you have multiple outstanding credit cards or personal loans. 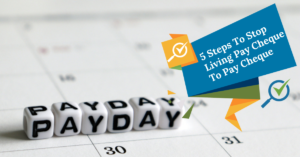 You can choose longer loan tenure to bring down the monthly loan payment to a manageable level, commensurate with your financial capability and comfort. Only consider refinancing with a personal loan when it means lowering the annual percentage rate of your credit card debt, mortgage, car loan, or other debt. Which banks can I apply for a debt consolidation loan with? For a debt consolidation personal loan, you want to find products that offer lower interest rates than most products in the market. It only makes sense to consolidate your debts into one loan if the interest rate is lower. 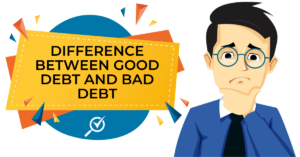 Use our free comparison tool online to find the best debt consolidation personal loan for you. Some notable banks include Alliance, Citibank, Hong Leong, Standard Chartered and UOB. Do I qualify for a debt consolidation personal loan? 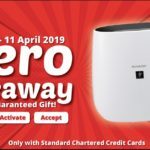 Most banks will require you to be a Malaysia Citizen or Permanent Resident, aged 21 and above (but not over 60 years old) and earn a monthly gross income of at least RM3,000 or more. Proof of identification, income, and residence must also be submitted to be approved for a personal loan. Banks will also look at your credit rating before approving or rejecting the loan application. How do I apply for debt consolidation personal loans in Malaysia? 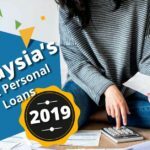 Find the right personal loan in Malaysia for you based on your borrowing amount and the reason you are applying for a personal loan. By visiting financial comparison sites like CompareHero.my, we do the hard work for you. With our free comparison tool, all you need to do is key in important details to help us narrow down the best personal loans for you. Within 30 seconds, we'll be able to offer you a range of personal loans that work for you based on the products that are available in the market. Be sure to review the borrowing limit, approval times, interest rates, and minimum requirement for a successful personal loan application. How much can I borrow with a debt consolidation personal loan? Many Malaysian banks and lenders can lend from RM1,000 up to RM400,000, depending on the borrower's credit history or rating. Most banks and lenders set an upper limit on how much applicants can borrow, which can range from three to four times the amount of their current salary, or a fixed amount, to ensure you don't overextend your finances. Whichever amount is lower will be the highest amount the borrower can have. 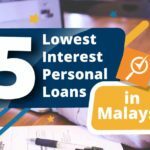 What are some of the lowest interest rates for personal loans in Malaysia? 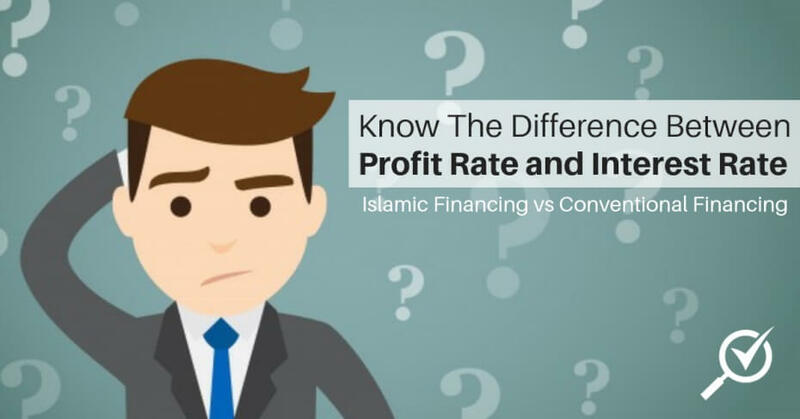 Lowest interest rate loans typically range between 4.8% to 8% and as of June 2017 these include the Alliance CashFirst Personal Loan, Standard Chartered Cash One, HSBC Amanah Personal Financing-I, Bank Rakyat Personal Financing-I, and Ambank Personal Financing-i. How long will my debt consolidation application take? Because of the nature of Debt Consolidation Loan, banks will be more cautious about the borrower's credit and background. Therefore, approval times may vary and you may need to contact the bank you have applied with to find out. Most personal instalment loans are repaid in fixed monthly instalments. Repayments can usually be made by mail, online, through an ATM, or at a bank branch. If the loan is from the same bank you keep your savings account in, your loan repayments can be automatically debited from this account. Many Malaysian banks and lenders can lend from RM1,000 up to RM400,000, depending on the borrower's credit history or rating. Most banks and lenders set an upper limit on how much applicants can borrow, which can range from 6 to 10 times the amount of their current salary, or a fixed amount. Whichever amount is lower will be the highest amount the borrower can have. What is a Personal Loan? A personal loan is a one-time loan where the principal and interest are repaid in small fixed amounts at regular intervals. Payments are usually made on a monthly basis for a predetermined period of time. When should I use a Personal Loan installment ? You can use a personal installment loan for needs that other loan types cannot cover. Examples include paying for weddings, renovations, and medical costs not covered by insurance. Some people prefer taking out a personal installment loan instead of using a credit card because the fixed monthly repayments are easier to plan for. For other purposes such as paying for cars, education fees, housing, it is usually cheaper to use a loan specific for that purpose. Ask your bank about car loans, education loans, home loans, et cetera. It is advised to only use personal loans when you cannot find a loan that matches your needs. Do I Qualify for a personal loan installment ? 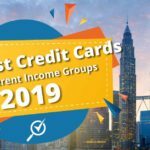 Most banks will require you to be a Malaysia Citizen or Permanent Resident, aged 21 and above (but not over 60 years old) and earn a monthly gross income of at least RM3,000 or more. Proof of identification, income, and residence must also be submitted to be approved for a personal loan. Banks will also look at your credit rating before approving or rejecting the loan application. How much Can I borrow ? Many Malaysian banks and lenders can lend from RM1,000 up to RM400,000, depending on the borrower's credit history or rating. Most banks and lenders set an upper limit on how much applicants can borrow, which can range from 6 to 10 times the amount of their current salary, or a fixed amount. Whichever amount is lower will be the highest amount the borrower can have. How Do I Replay My Loan? Most personal instalment loans are repaid in fixed monthly instalments. Repayments can usually be made by mail, online, through an ATM, or at a bank branch. If the loan is from the same bank you keep your savings account in, your loan repayments can be automatically debited from this account. What is The Difference between ans secured and unsecured Loan ? A secured loan means there is some form of collateral (guarantee) made to the bank. Examples of collateral include your property, car, stock portfolio, gold assets, etc. The value of the collateral must exceed the loan amount. If you do not repay the loan as agreed, the bank has the right to seize the collateral. An unsecured loan does not require collateral. There is no guarantee beyond your signed loan agreement (which is a legally binding contract). In general, unsecured loans have a higher interest rate than secured loans. What is loan Insurance ? Loan insurance, sometimes called "payment protection insurance," is insurance that helps protect loan policy holders from defaulting the loan. It provides financial support due to disability, unemployment, or other debilitating factors that prevents the borrower from repaying the loan immediately. What is a late fee? This is a fee imposed for missing repayments. There is usually a grace period of 60 days, starting from the stated date of repayment, during which late fees will not be charged. What is a processing fee? This is the amount charged for the administrative effort in granting you the loan (e.g. a legal team was required to draft the terms and conditions, staff are needed to upkeep accounts, and so on). Processing fees vary with each bank. What is a Pre payment penalty ? This is a fee imposed when you attempt to pay down your loan before the given loan tenure. To avoid this penalty, ask your bank or lending agency if they have policies on early repayment. Loan insurance, sometimes called "payment protection insurance," is insurance that helps protect loan policy holders from defaulting the loan. It provides financial support due to disability, unemployment, or other debilitating factors that prevents the borrower from repaying the loan immediately. A secured loan means there is some form of collateral (guarantee) made to the bank. Examples of collateral include your property, car, stock portfolio, gold assets, etc. The value of the collateral must exceed the loan amount. If you do not repay the loan as agreed, the bank has the right to seize the collateral. An unsecured loan does not require collateral. There is no guarantee beyond your signed loan agreement (which is a legally binding contract). In general, unsecured loans have a higher interest rate than secured loans. You can use a personal instalment loan for needs that other loan types cannot cover. Examples include paying for weddings, renovations, and medical costs not covered by insurance. Some people prefer taking out a personal instalment loan instead of using a credit card because the fixed monthly repayments are easier to plan for. For other purposes such as paying for cars, education fees, housing, it is usually cheaper to use a loan specific for that purpose. Ask your bank about car loans, education loans, home loans, et cetera. It is advised to only use personal loans when you cannot find a loan that matches your needs. Be smart when it comes to borrowing money. Read our articles about loans below.